Spring has been playing hard to get with us but our closets are ready for Spring fashion! J.Lo is giving up some motivation! While promoting her new single, Jenny gave us a colorful fit that is trendy yet classic. 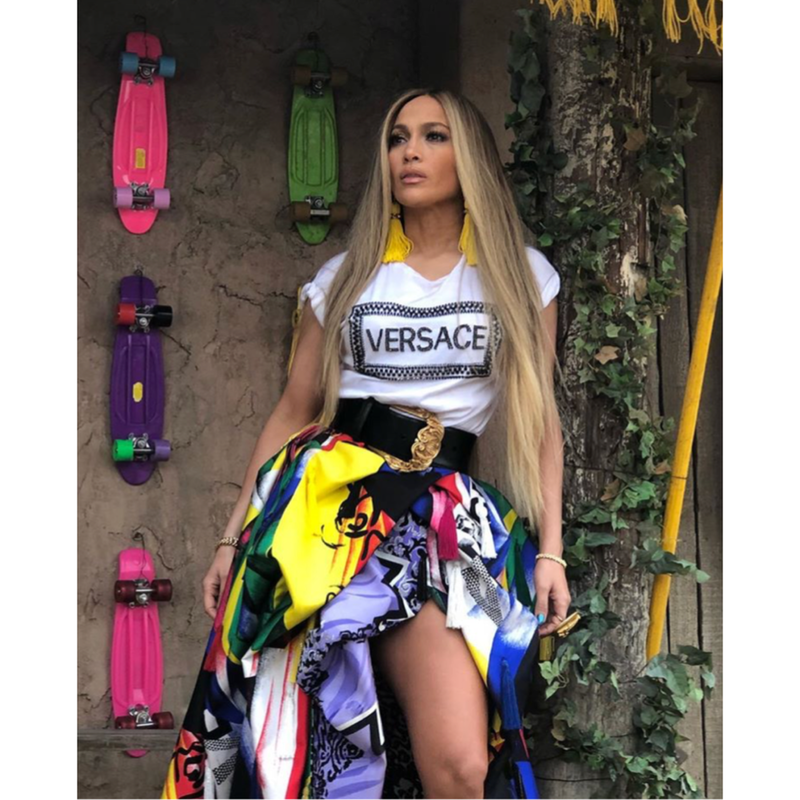 Her look , head to toe, is fresh off the press of Versace FW18. I adore that this vibrant skirt as a statement piece paired with a basic Versace printed tee and standout dandelion chandelier earrings. The colorful, rainbow high slit skirt is on trend for the 2018 Spring Season. Jennifer is always serving fresh face and youthful glam. Now excuse me while I try to replicate this look for date night on Miami Beach !